This is a used Factory German Heckler & Koch HK MP5 9mm standard front end with an original tri-lug barrel. The front end has been demilled because it was acquired as part of a police department trade-in parts kit. The front end includes a trunnion, front sight-blade, dust cap, cocking support, cocking handle, cocking tube, sight tower, and of course a good to very good condition used barrel. 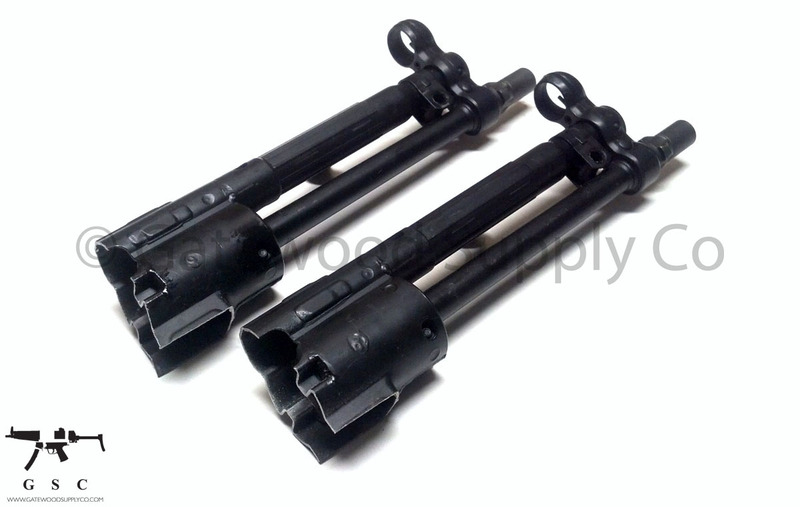 This front end is perfect for re-barrelling an HK94 or H&K MP5 or as the core of a build. 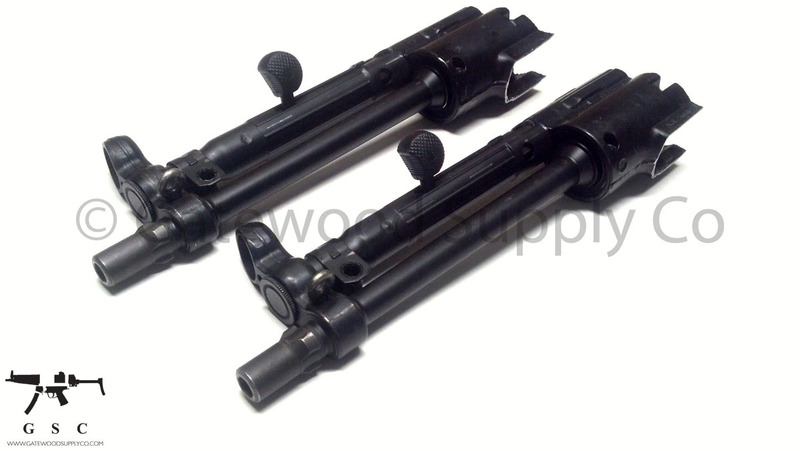 The barrel included with the front end has German HK proof marks and is renowned for being of the highest quality. Because this listing includes an integrated tri-lug barrel, buyers can use a variety of options on muzzle devices including flash hiders and suppressors for quick-attach/detach mounting without the risk of parts "backing off".